Put a souffle or block of ice in a hot oven and there is a decent chance that the first will fall and a guarantee the second will melt. Yet appliance manufacturer Miele has an oven that will prevent collapse and won’t precipitate a puddle. 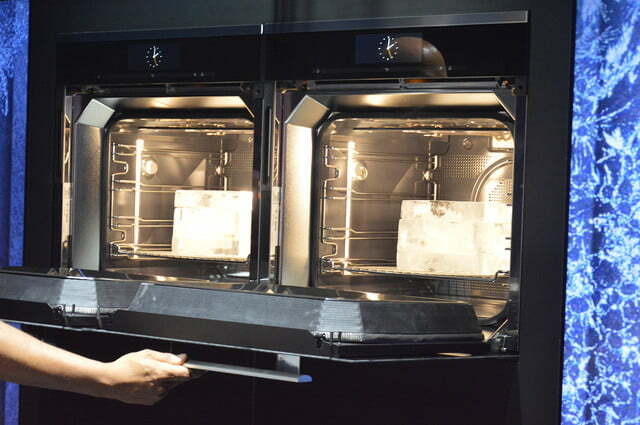 The Dialog Oven’s electromagnetic waves cook food differently from a conventional oven but somewhat reminiscent of a microwave. You won’t get a mishmash of frozen and scalding hot that you are used to with a microwave, but you can make a piece of salmon that is cooked on one side and raw on the other using aluminum foil. After eight minutes, a piece of cod sealed in the block of ice was cooked and the ice was still solid. 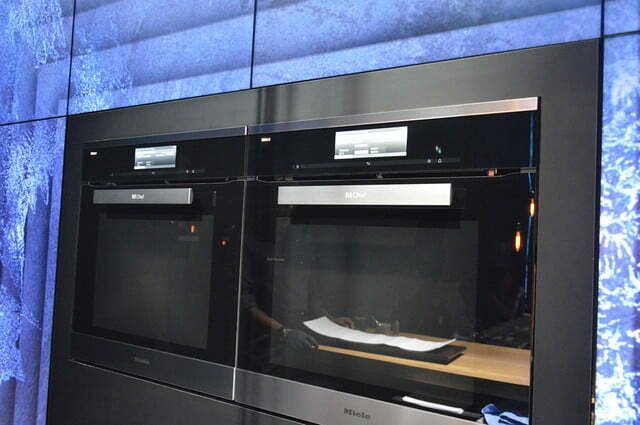 We saw the Dialog Oven in action at a Miele event before IFA 2017. With a name like that, you expect to be getting some vocal feedback from the appliance but instead, the oven is communicating with the food it’s cooking. “It measures, it controls, it regulates the cooking process depending on what you cook and of course also depending on how far the cooking process has already advanced,” said Dr. Axel Kniehl, Miele’s managing director of marketing and sales. The appliance has two antennae on the ceiling of the cooking cavity that emit the electromagnetic waves at specific frequencies. It’s able to calculate how much energy it’s sent out, as well as how much has been absorbed. It sounds very similar to RF microwave concepts we have heard about from other manufacturers. Like a microwave, the Dialog works fast; Miele says it is up to 70 percent faster than conventional ovens. The results are very different from a regular microwave, though. For example, we saw the results of a frozen cake defrosted in the microwave and the Dialog Oven for 30 minutes: A soupy mess versus a still-intact and sliceable dessert. Also, you can put your meat and veggies in at the same time, at the same temperature, and the oven will cook them all to perfection without sacrificing or burning anything. If you are looking for bread with a crusty exterior, though, you need to pair the M Chef technology (what Miele calls the electromagnetic waves) with conventional heating. 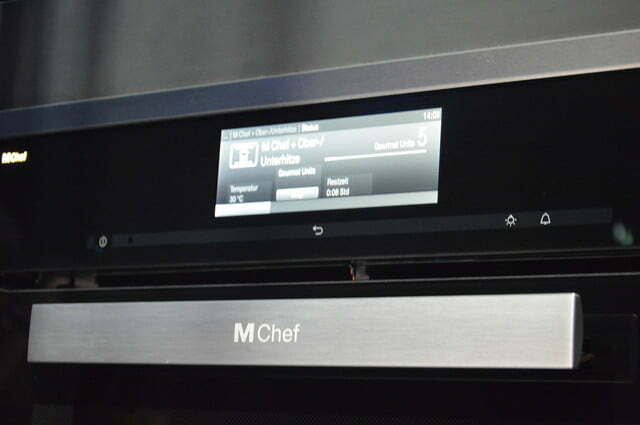 The Dialog Oven lets you pick these different functions, with settings like M Chef plus fan (for a convection cooking experience) or M Chef plus moisture plus (presumably steam cooking). The app-enabled oven will take some getting used to, though. There are a few steps to get through whenever you want to use the new cooking method. You set the temperature and designate the “gourmet units,” which are basically joules. That is the amount of energy the antennae will put out. 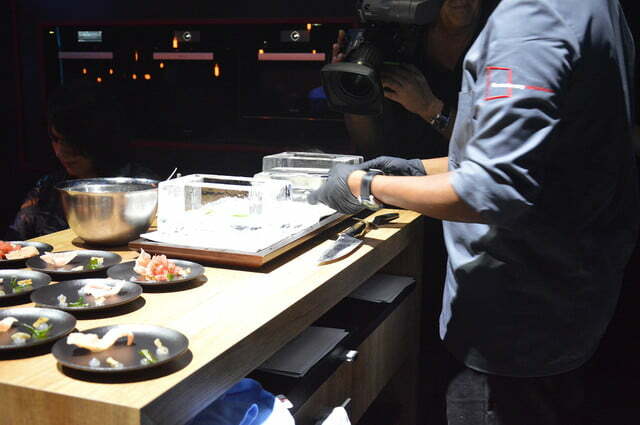 Miele has developed about 100 recipes. Hopefully, there are some staples in there, as well as a few that demonstrate how unique the oven is. Of course, there might not be much American fare, as the oven is not expected to come to the U.S. for several years. It’s debuting in Germany in 2018 for the staggering price of about $9,500.